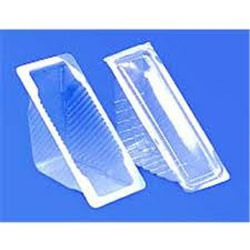 We offer wide range of disposable sandwich tray in various shapes and sizes, which are made up using food grade high quality material. Our collection of disposable sandwich tray is widely used in the catering, restaurant and hotel industry and are in great demand in the consumer market as well. Make a wonderful addition to your kitchen with this Sandwich Tray. It is ideal for serving snacks, desserts or anything else you want. The plate is given a square design, which is very unique in style and it contains a set of 4 bowls and 4 spoon. The set is very attractive in looks. clients can avail from us snack/sandwich trays, which are highly sought after in the market. 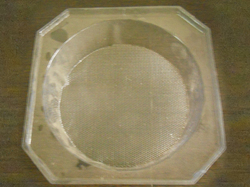 These trays are known for keeping the products in a safe and proper manner. Using the best grade We Provide process for production, we ensure that these products remain in compliance with international standards of quality. The entire range is made as per the current day needs of the customers. In order to keep pace with the never ending demands of customers, we are involved into offering wide range of Sandwich Disposable Tray.